A very successful yacht for sailing holidays, and certainly among the best to come out of the Beneteau shipyard, this vessel is in high demand for charter. She is 14.30 m (4611) long and can accommodate up to a maximum of 10 people, including 8 in 4 double cabins and 2 in the folding dinette. 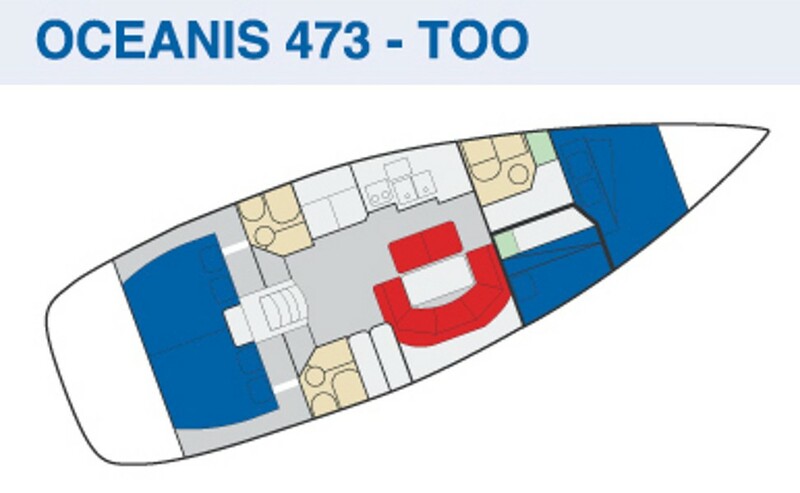 Among the most popular for sailing holidays, our Oceanis 473 is constantly upgraded in parts undergoing hard wear. In 2010 she was fitted with new sails, and in 2011 her flooring was refinished and spray hood replaced. 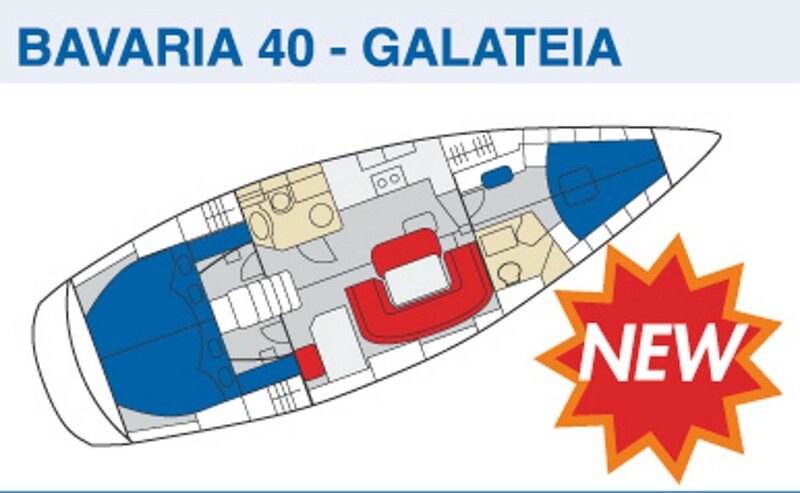 The interior layout consists of 4 cabins and 3 heads in total; aft layout is the classic with 2 large double cabins and 2 heads. 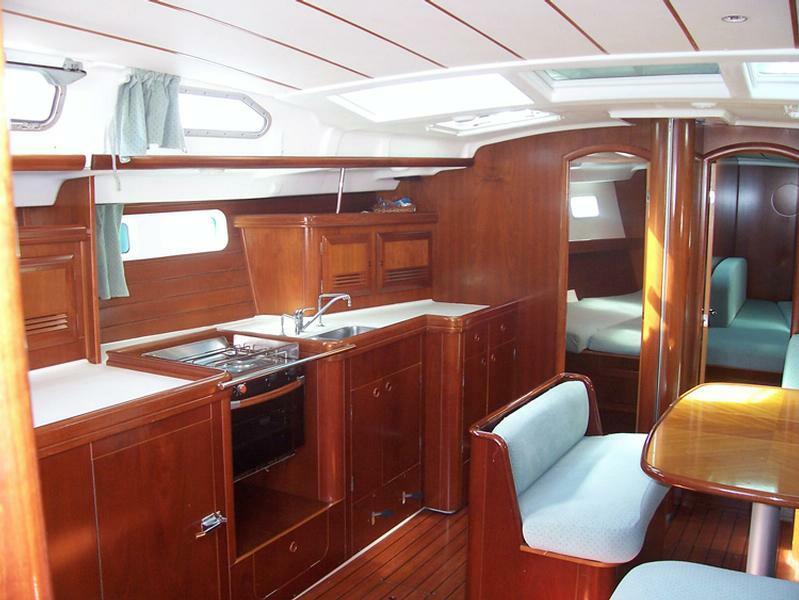 The walled kitchen dinette includes port- and starboard-side sofas, while towards the bow at starboard is a double cabin with bunks, a head opposite this; the bow cabin houses a V-bed.